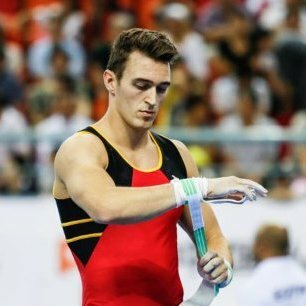 If there's a gymnast that came close to win a medal at a major event, it is Kristof Schroé! 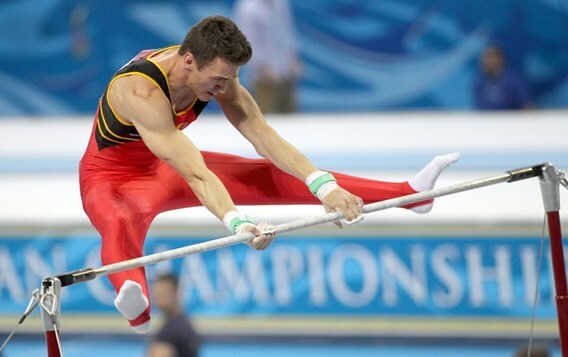 He is a Senior since 2010 and has represented Belgium at several European and World Championships. If his favourite event is horizontal bar, he is also a great all-arounder. He was the National Champion in 2012 but he also won a bronze medal in 2014 (behind Thomas Neuteleers and Jimmy Verbaeys) and a silver medal in 2010. But it is on the horizontal bar that he achieved his best results, the highlight being a very beautiful 5th place at last year's European Championships in Sofia (Bulgaria), just 0.042 points from the bronze medal. This year, Kristof Schroé will be in contention for a spot in the team that will be send at the World Championships in Glasgow and will try to help the team qualify for the Test Event and the 2016 Rio Olympic Games.